Want great fuel mileage in a reliable hatchback fun to drive 5 speed with room to haul things? 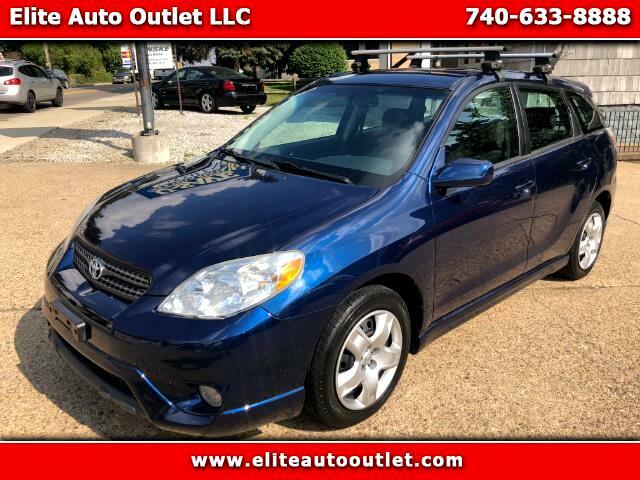 Look no further then this 2008 Toyota Matrix XR. These cars are very reliable and practical. They feature the 1.8 liter inline 4 with variable valve timing to give you great power, with excellent fuel economy. This one has 4 almost new tires on it, ice cold air, cd player keyless entry and all the power features you would expect. With just 102k miles this Toyota has a lot of life left. Would be a great college car or commuter car. Come take for a test drive today! Call Mike Today!! 740-633-8888 text me at 3043129866. All vehicles are services before sale, and a 3 month 4500 mile Service Contract is included at the price listed for free on most vehicles! Exotic cars, and modified vehicles are not eligible for Service Contracts. See dealer for details.